It’s hard to get up early in the morning at this time of year; especially when it’s a Saturday, the day when we usually lounge in bed with a cup of tea and a good book. But this morning I was up just after 5am, grabbing the last few bits to put in my bag. My poor husband had been roped in to drive me to the station for the 06.53 train to Skipton, North Yorkshire, for a girlie weekend with my lovely travel buddies, Shiela and Kate. We’d all met through the Diverbo/Pueblo Ingles programme in Spain, and we’d all hit it off straight away. Sheila – from California – is a bit of an Anglophile (who knew? !, as she would say), and she has come over to the UK for a long stretch over the spring and summer, using it as a base to lead groups of tourists on her ‘Britain Your Way’ tours. 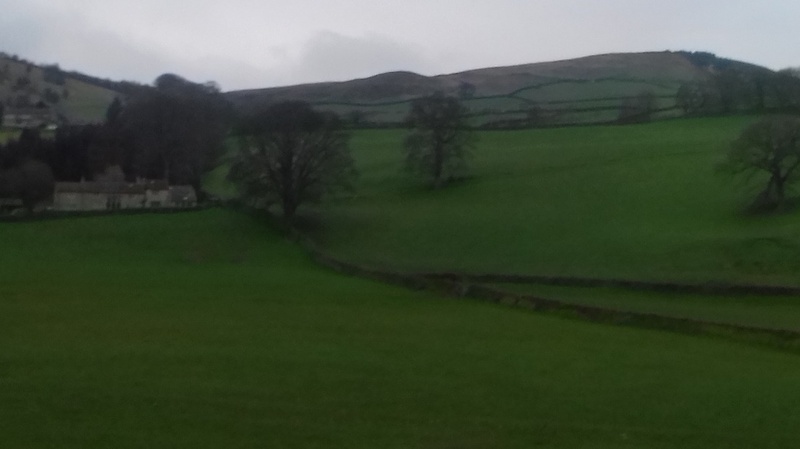 She often stays in Skipton, and English Kate and I are joining her for a long weekend. I expect laughter, tears, and plenty of naughty food and wine! My train left on time, and I looked forward to watching the countryside roll by in the early morning sun. 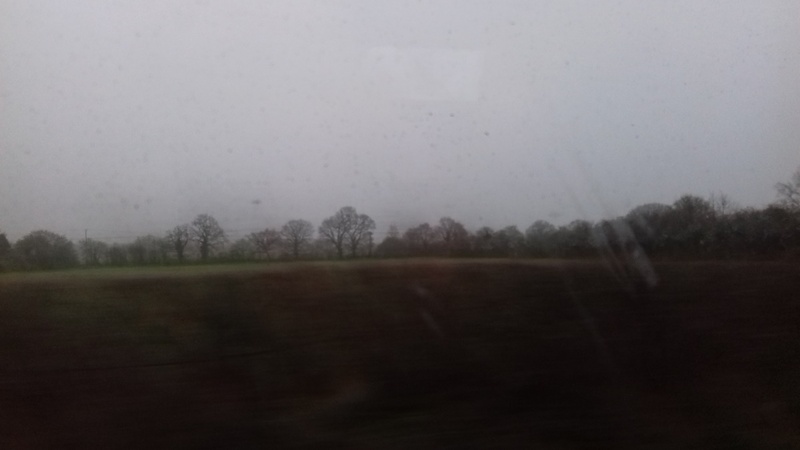 Or not; the weather was that particular type of grim grey that makes the whole landscape look like someone has done a beautiful pencil drawing and then rubbed it all out with a dirty rubber. And the word ‘landscape’ can only mean one thing in East Anglia – miles and miles of flat fields , stretching as far as the eye can see to a horizon dotted with the odd clump of trees or ramshackle old farm buildings to break the monotony. On a late summer’s evening, the skies come alive over this part of England, with livid sunsets that fill up the sky and throw pink and gold light across fields of corn and deep green meadows. But this morning everything was just grey. To add to the fun, there was nowhere close by where I could store my huge flight bag (only just legally sized for budget airlines) – luggage racks were miles away where I couldn’t keep an eye on it, and the rack above the seat was too narrow. I had reserved a seat – I must have accidentally ticked the box on the screen asking if I would like the least possible leg space, rear-facing and between two windows (so I could only see the ‘view’ outside by performing the sort of head rotation only seen in ‘The Exorcist’); a very nice man – middle aged, glasses, man-bag – had apparently reserved the seat next to mine, and we immediately struck up a conversation. Well, he did, mostly. 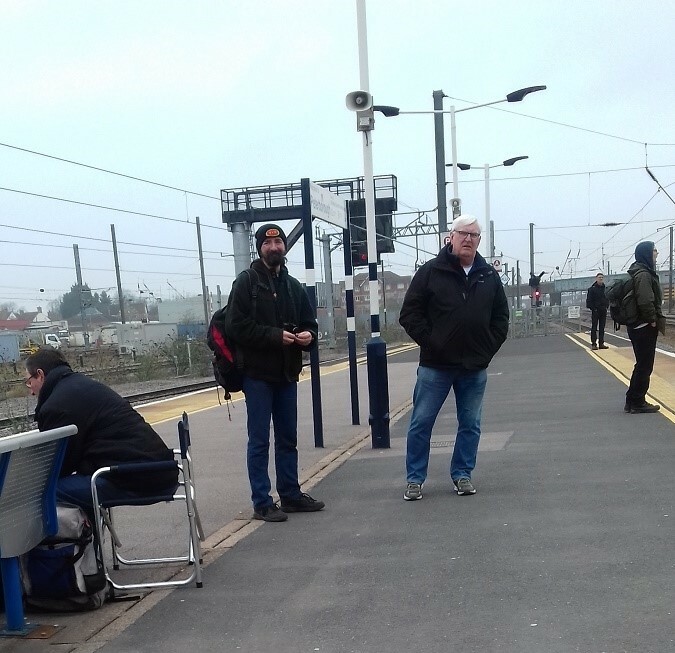 He told me when he’d bought his ticket, how much he paid, how he’d tried to split the journey to make it cheaper, why he was going to Grantham (to pick up a car – a Suzuki – for his wife, who doesn’t like driving), and how they’d spent a lovely weekend in Lincoln a while back. 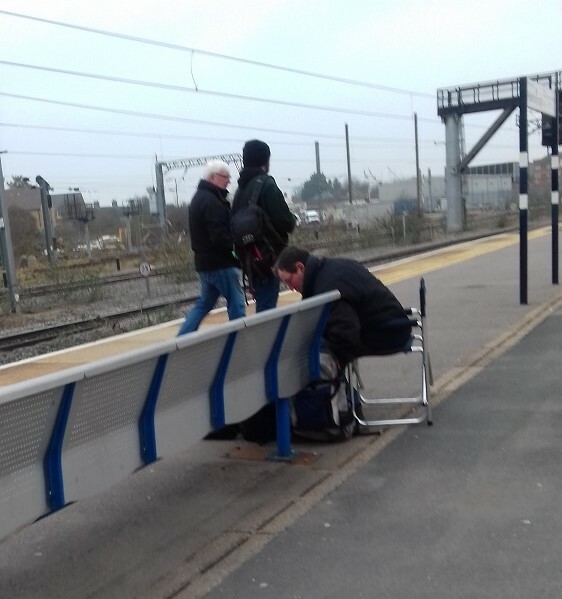 He also told me he planned to move across the aisle to a front-facing window seat, if no-one else claimed it. Luckily, no-one else did, and I also moved across, to the seat behind his, with a little more window and amazingly a bit more legroom, too. Through the grey gloom outside I did manage to spot quite a lot of wildlife; typically of East Anglia there were several fields of happy-looking pigs, lolling around their little tin shacks, but also several deer (a small herd in one place, grazing at the edge of a clump of tall pine trees) and pair of graceful swans, gliding up from an irrigation channel in the Fens. 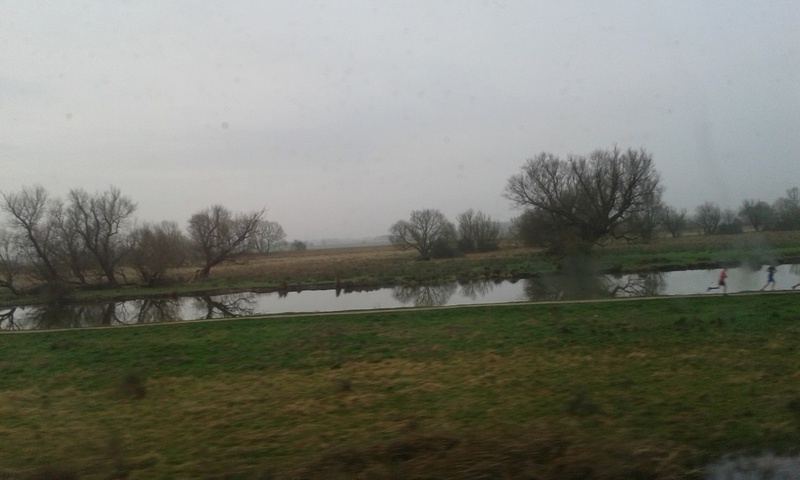 At Ely, the train went into reverse, so I was no longer facing the direction of travel; I don’t know why this should be less pleasant, but somehow it is. Maybe it’s psychological – it seems more positive to be looking forward, and catching a first glimpse of what’s to come, rather than seeing things that you’ve already passed speed away into the distance. 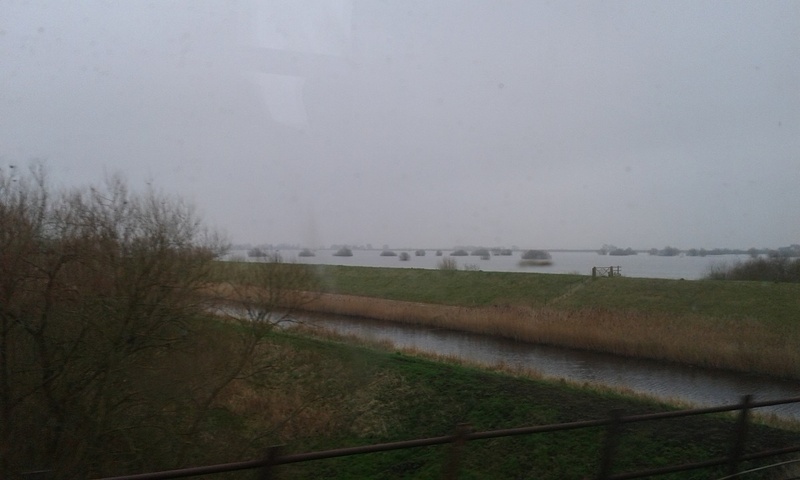 Somewhere between March and Whittlesea, I think, we crossed huge areas of water, dotted with tiny islands of reeds. Somehow the grey water sparkled just a little in places, reflecting the odd little ray of sunlight breaking through the grey sky above. It made a change from muddy fields…. At Peterborough, I changed trains and platforms to board Virgin Trains service to Leeds. I wandered along the platform, which had been helpfully marked so that you knew where exactly to wait for your particular carriage. Standing by a bench, ready for carriage C, I was aware of a group of four or five men nearby, who I assumed must have been off for a day of birdwatching (we were in Fen country, and they all had big, impressive cameras and binoculars – one of them had even brought his own fold-up chair); it was only when they all trotted over towards the edge of the platform and started squealing excitedly as a “…41299, D-class..!” came rolling through that I realised they were spotting trains, not birds. “What time did you get here, Malcolm?” one of them asked after the excitement had passed by. “Oh, I only got here half an hour ago”, said Malcolm, “and I can’t stay long – I’ll have to leave around 4.30” (it wasn’t even 8.30 at that point!). Obviously a day of great excitement ahead for them, bless ‘em! The Virgin train from Peterborough to Leeds was much more comfortable; I had a forward facing table seat, with a plug socket (I’ve learnt never to pass up a free phone charge while travelling) and decent toilets; plus a lovely lady making announcements and a refreshments trolley. 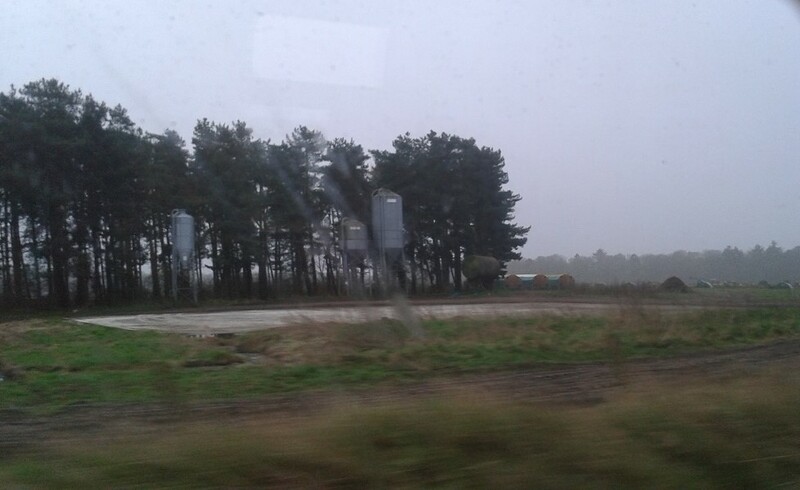 The scenery was fairly pleasant in that there were a few more low hills and we passed through some major towns (Grantham, Newark, Doncaster and Wakefield). 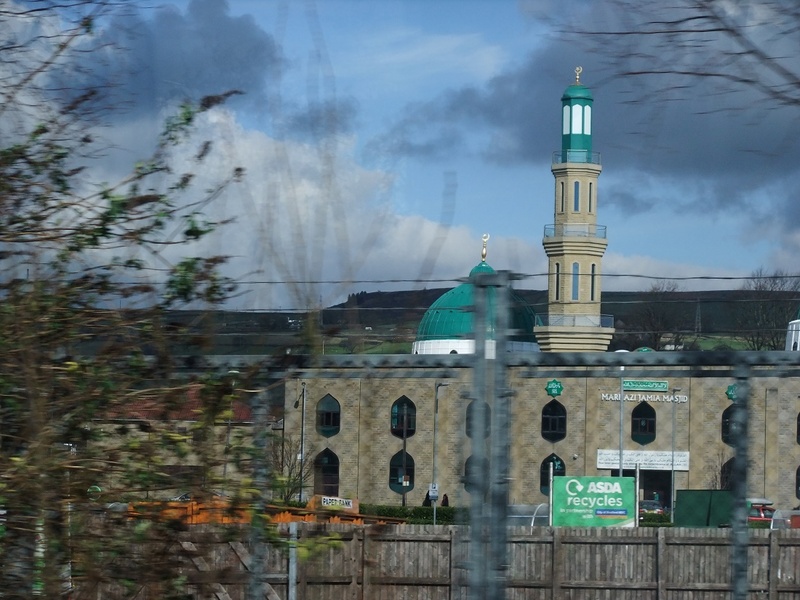 We arrived in Leeds pretty much on time, and I gave up on the queue for the ladies’ toilets and headed straight to my final train to Skipton. Which (luckily) had a toilet on board! On this part of the journey I feel very much that I’m ‘Up North’. I’m a Southern gal, growing up on the outskirts of London and Buckinghamshire. The North is a place of mystery to me, a world I’ve only really seen on TV. 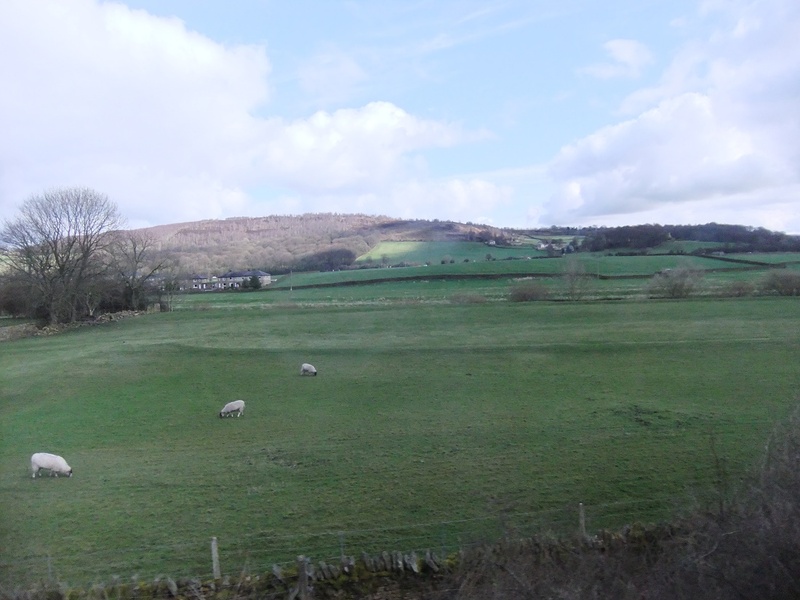 But the landscape that rolled past was suddenly very much as I expected Yorkshire to look…. 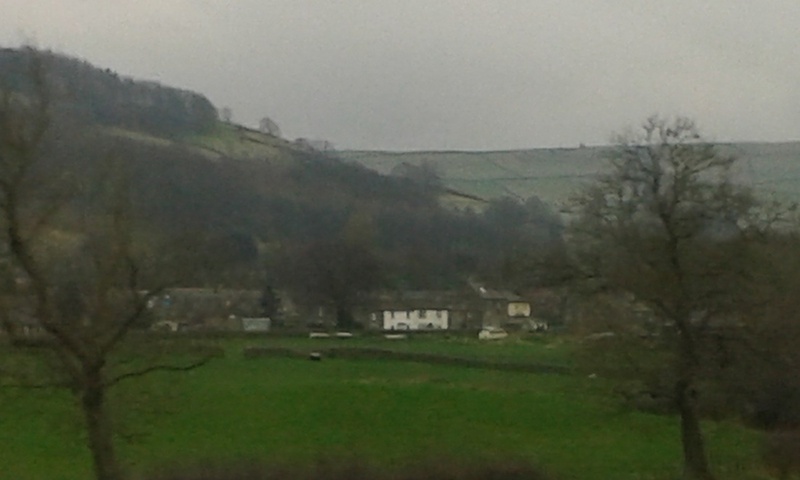 Rolling fields and steep hillsides, flocks of sheep nestling under dry stone walls, little towns with rows of terraced houses and converted mills. 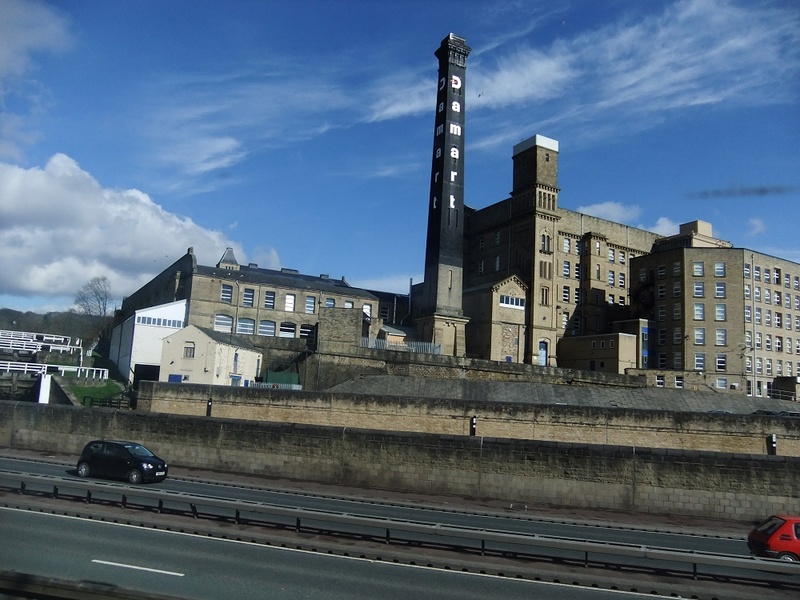 We passed through Keighley (a very pretty little station with a steam engine puffing away on another platform), Bingley, Saltaire…familiar names, but places from that far-away land of the North, where winters are tough and men are men and (quite possibly) there be dragons. It was – (and I’m ashamed to say, to my surprise) – all very pretty. 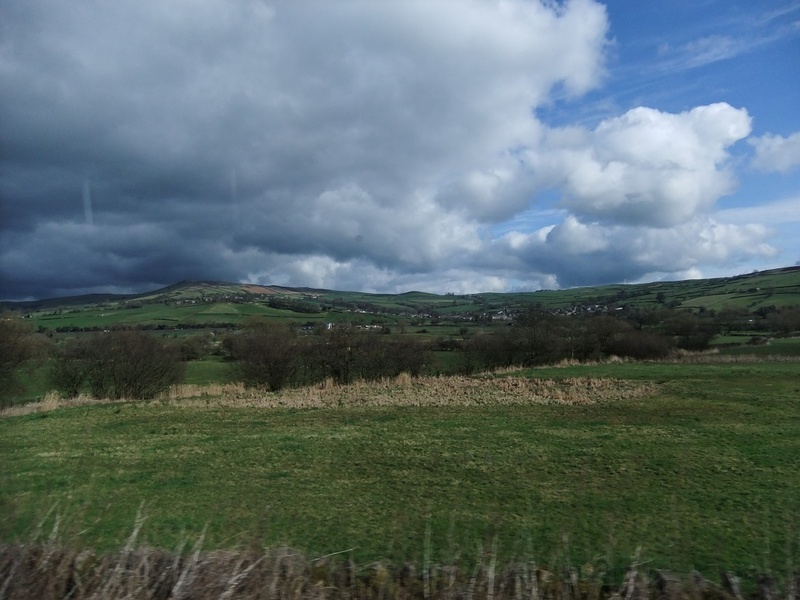 I was really enjoying the ongoing view from my train window, watching the shadows of clouds sweep across the distant hills and the unfamiliar little clusters of cottages. I was also enjoying the snatches of conversations I could hear from other passengers, in accents that I’m not used to hearing in my day-to-day life; that is, until a couple of irritating twenty-something men sat across from me, loudly name-dropping about how much their band was earning for their latest album and how someone who was married to Richard Branson’s daughter was looking at their screenplay – all said very loudly in what seemed to be a fake, slightly Antipodean drawl. 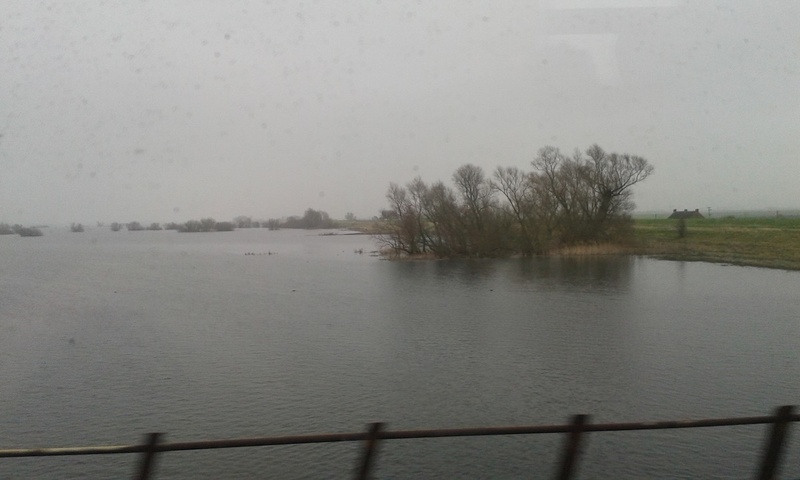 I put my iPod on, and drowned them out with a bit of soothing Rufus Wainwright as we slowly slid into Skipton station…..